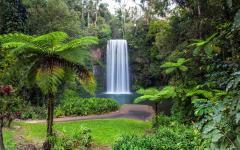 With pristine beaches, turquoise lagoons, tropical islands, vibrant metropolitan cities and more than its fair share of stunning UNESCO World Heritage Sites, Australia is a prime location for relaxation, luxury and romance. Find out just how easily it can sweep you off your feet on an unforgettable 13-day getaway that’ll take you from the verve of Sydney to the tranquility of Lizard Island. 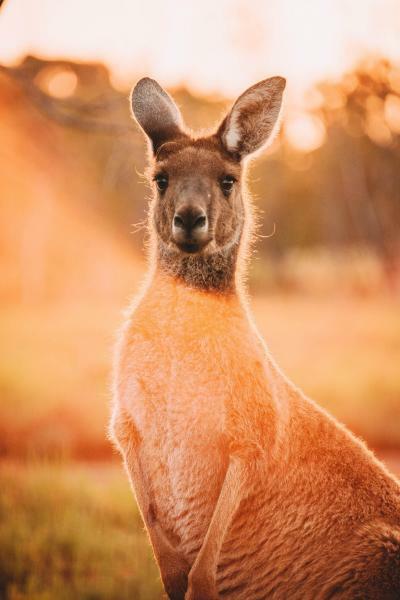 Don’t be deceived by images of crocodile hunters or shrimps on a barbie; Australia is a land abundant in secluded beaches, aquamarine lagoons, idyllic tropical islands and electric coastal cities. In addition to this, it boasts some of the world’s most remarkable sights, quirkiest wildlife and an easygoing culture that’s both endearing and immediately welcoming. 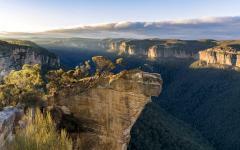 The land down under is simply the perfect destination for days of luxury, relaxation and romance tour. Begin your getaway in a place where all three thrive - Sydney. Spend four magical days at the five-star Shangri-La Hotel in the historic Rocks district, and get to see the best of the city. 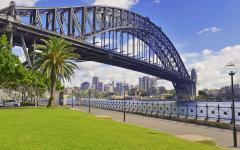 Cruise the harbor on a luxury yacht or climb the Harbour Bridge for panoramic views. Discover Sydney’s hidden bays, famous beaches and prestigious suburbs, then cuddle up to cute koalas, feed kangaroos and see the magnificent valleys of the UNESCO World Heritage-listed Blue Mountains. 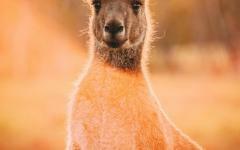 Or, take a luxury 4WD wildlife tour into the Southern Highlands. 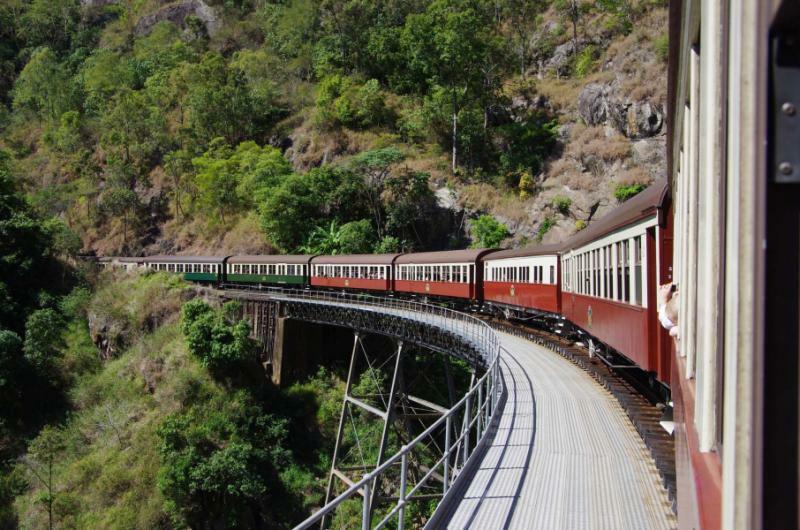 Travel north to tropical Queensland, then take a scenic flight over the Coral Sea and UNESCO World Heritage-listed Great Barrier Reef, to Australia’s northern-most island beach resort, Lizard Island. 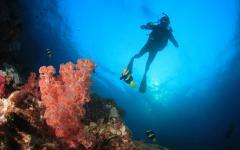 Devote the following five days to snorkeling and diving the reef, exploring secluded beaches, enjoying romantic picnics, indulging in lavish spa treatments, walking some of the island’s 1,000 hectares of national park, or treating your taste buds to a sunset seven-course degustation beach dinner. 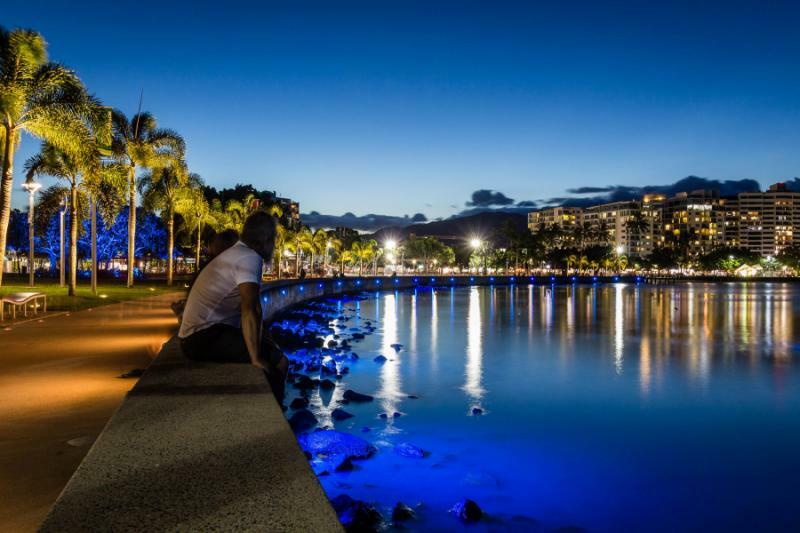 Finish your getaway in the tropical city of Cairns, where fresh seafood by the water’s edge will leave a lasting impression. 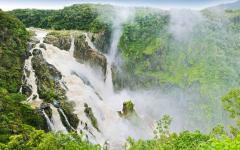 Related information: Zicasso offers a wide selection of Australia tours. 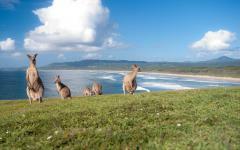 You may also want to browse Australia travel reviews, shared by real travelers. Set off on your exciting down under adventure as you board a flight bound for Australia’s largest city, Sydney. Set your watch forward by a few hours as you near Australia. Don’t worry, you’ll get the time back on your return trip. 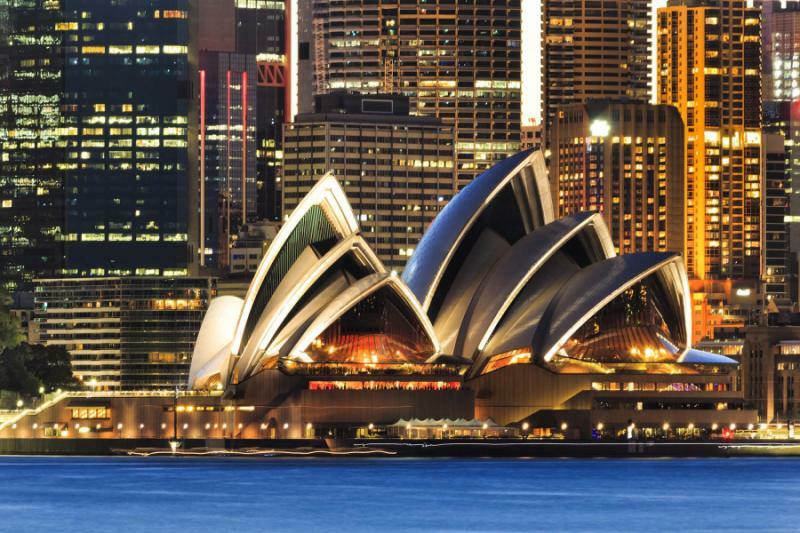 Favored with one of the world’s most beautiful natural harbors, iconic landmarks, sophisticated restaurant and bar scenes, and a vibrant, multicultural outlook, Australia’s largest city is also one of its most interesting. Begin your adventure by meeting your private chauffeur who’ll take you to the luxurious Shangri-La Hotel in the historic Rocks district — your home for the following four days. 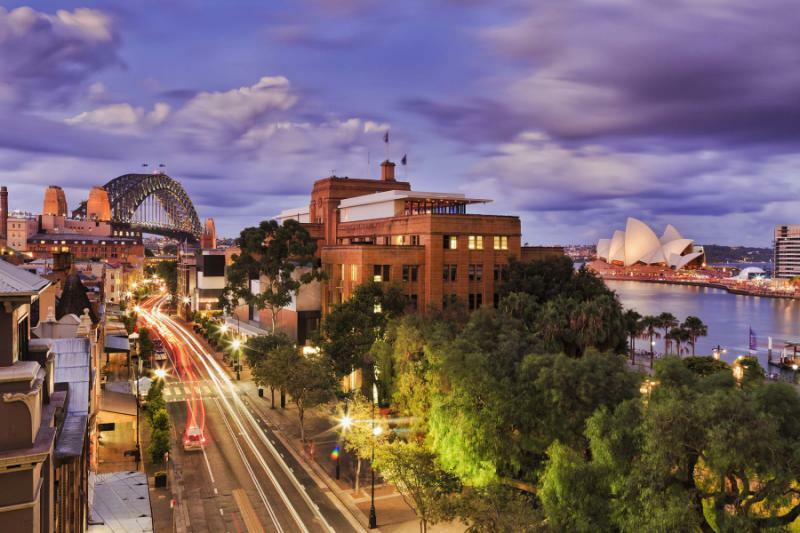 Freshen up after your long flight, then set out to explore the area; the hotel is situated within an easy walk of the Harbour Bridge, Sydney Opera House and dazzling city foreshore. In the evening, enjoy sweeping city views and a splendid dinner at the award-winning Altitude Restaurant, which you’ll find on the 36th level of the hotel. Port Jackson, the natural inlet that contains Sydney Harbour, just so happens to be one of the finest in the world. 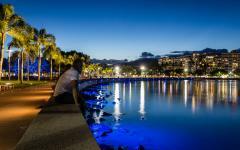 Devote your time to the attractive city foreshore by embarking on a harbor cruise on board a luxury yacht. Travel past Sydney’s famous sights, grandiose waterfront mansions, quiet coves and busy ports, and discover what makes the city unique. Drop anchor at a secluded spot and make the most of the temperate climate with an alfresco barbecue lunch, while taking the opportunity to swim, fish or lounge back with a glass of wine. 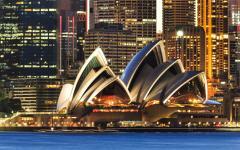 Alternatively, turn your attention to Sydney’s iconic landmarks: the Sydney Opera House and Harbour Bridge. As you tour its magnificent interior, listen to the fascinating tale of how the opera house was designed and how rivalries and intrigues eventually drove its creator to resign. Then, as evening nears, set your eyes on the Sydney Harbour Bridge and climb one of its arches to the summit for unrivalled city views. 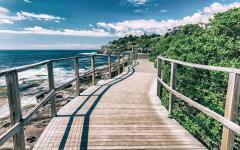 With golden beaches, breathtaking bays and must-see sights, hidden between skyscrapers, parks and headlands, Sydney is a city that requires a bit of exploration in order to reveal its secret beauty. 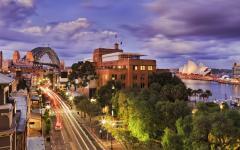 Discover some of its best-concealed secrets on a “Sydney Essentials” tour. 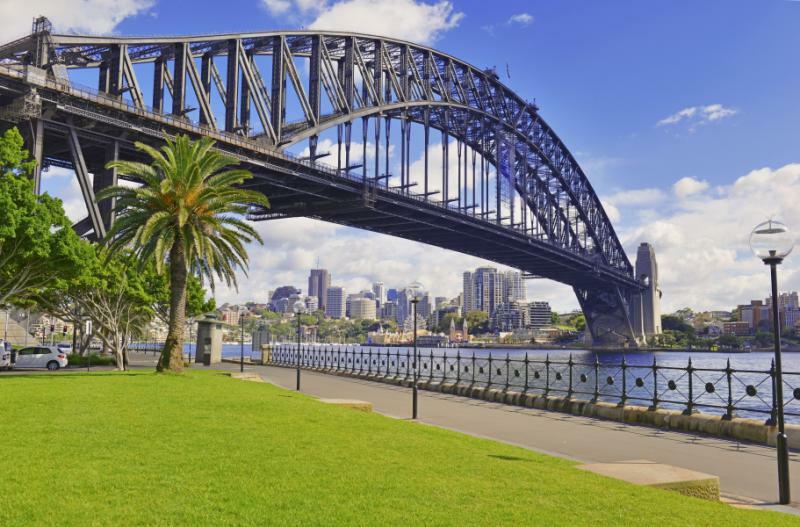 Gaze over the harbor from Observatory Hill and then stroll through the beautiful Royal Botanic Gardens until you reach the lookout at Mrs. Macquarie’s Chair where you’ll enjoy a picnic. After lunch, wander to the posh suburb of Wolloomooloo and hear the tale of its historic Finger Wharf, which has transformed from port facility, to derelict wreck, to some of Sydney’s finest apartments and restaurants. Amazingly, less than a kilometer south of the exclusive area, you’ll find Sydney’s infamous red light district, Kings Cross. Walk its main strip and listen to tales of how this once reputable, albeit bohemian, place transformed into its present form. 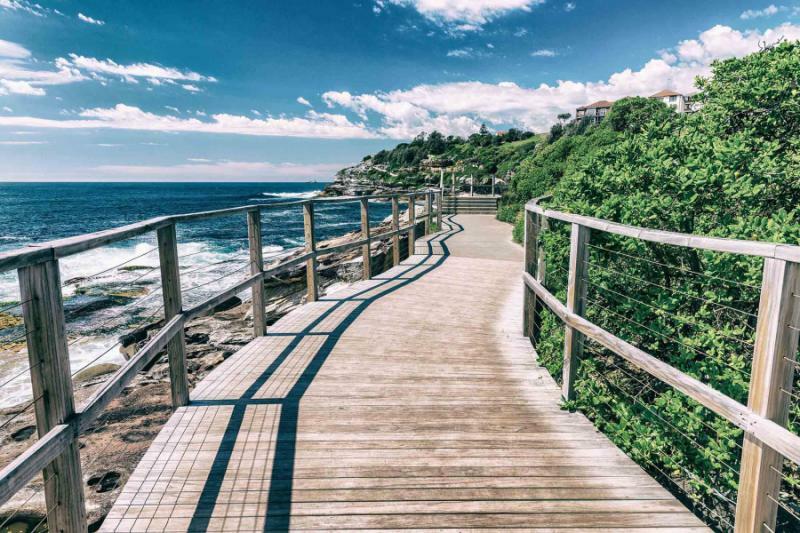 Continue east to leafy Paddington, which abounds in pretty terrace homes, boutique art galleries, antique shops, and then the world-famous Bondi Beach. Pause for a few minutes to drink in the vibrant atmosphere, beach views and the sunbathing crowds, before heading north to Manly. Finish up at the scenic North Head, a craggy headland that juts out into Sydney Harbour offering unparalleled ocean and city views. Spectacular though it may be, tear yourself away from Sydney Harbour and discover some of the great natural attractions nearby. 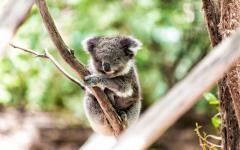 Start your morning with cuddly koalas at Featherdale Wildlife Park in Sydney’s west. 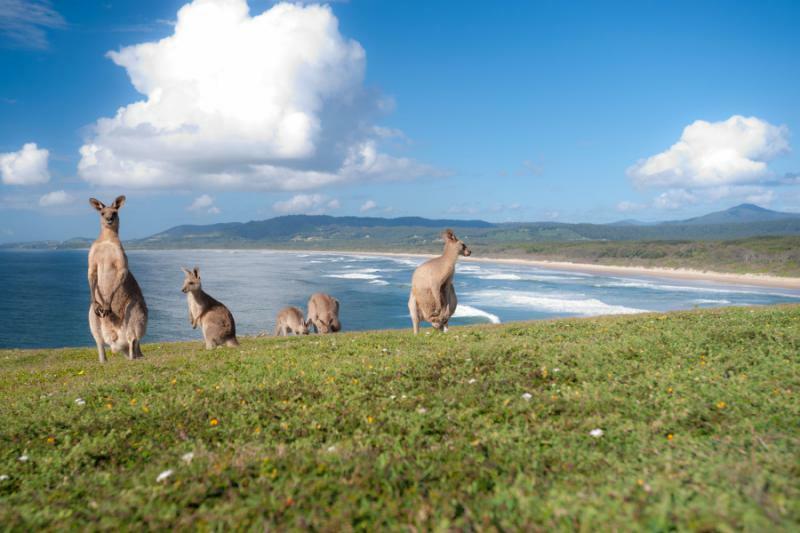 Pat the lazy creatures, feed adorable kangaroos and wallabies and meet some of Australia’s other quirky inhabitants. 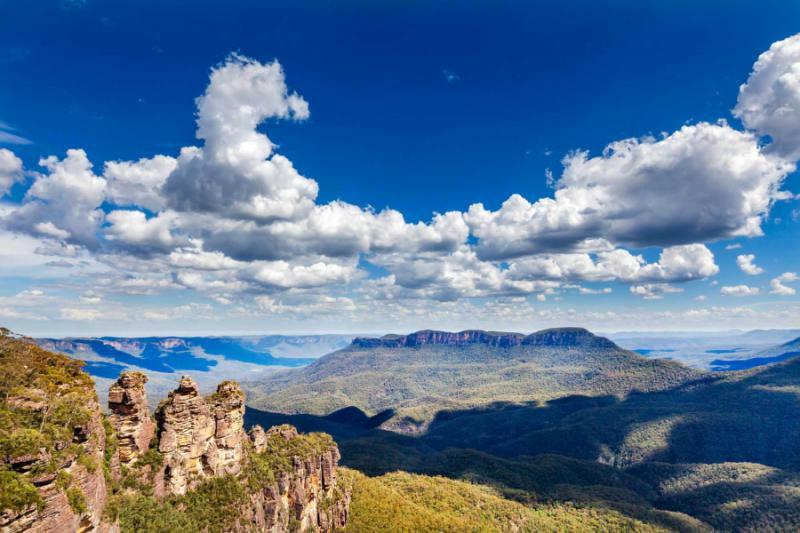 Once you’ve had your animal fix, resume your journey west until you reach the magnificent Blue Mountains. 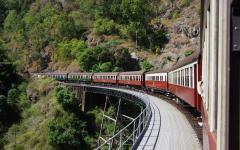 Stop at breathtaking lookouts to gaze over sapphire-hued valleys, visit Scenic World and take a gondola ride or descend into the rainforest on the world’s steepest scenic railway, enjoy lunch in a picturesque mountain setting and finish up at a clearing where you can sip champagne while wild kangaroos calmly graze around you. 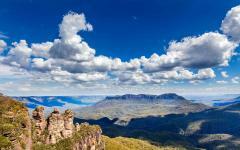 Alternatively, join a small group luxury 4WD tour into the Southern Highlands. 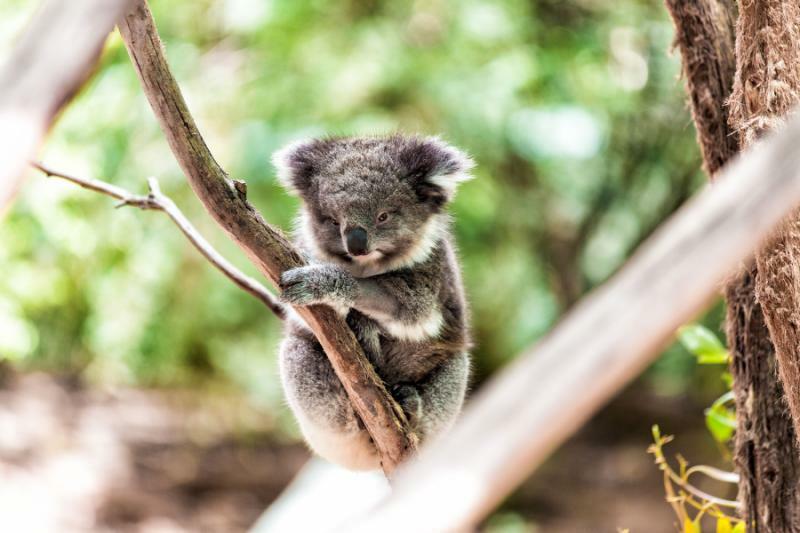 Spend your day admiring the local flora, lookouts over sweeping valleys and searching for Australia’s native animals: kangaroos, koalas, platypuses (little mammals that look like a cross between a duck and beaver), wombats and emus. 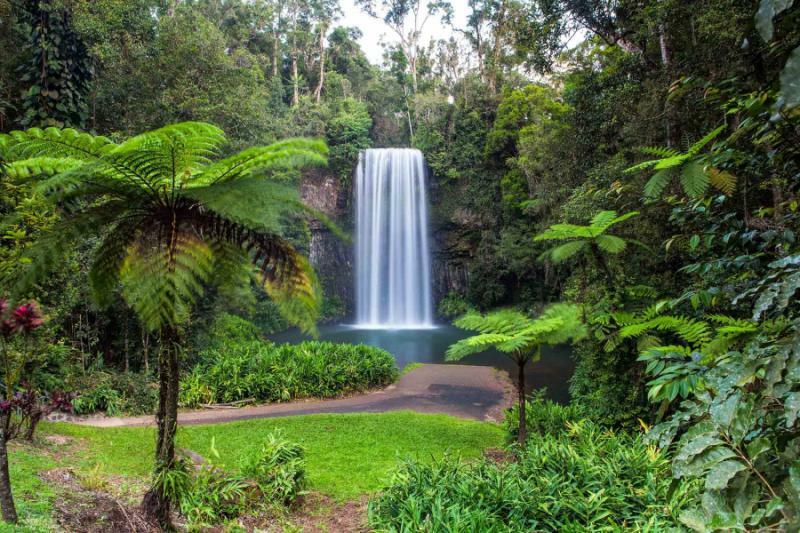 Change the scenery and pace of life, as you exchange Sydney’s busy streets for the white sand beaches, crystal waters and relaxed tropical climate of Far North Queensland. 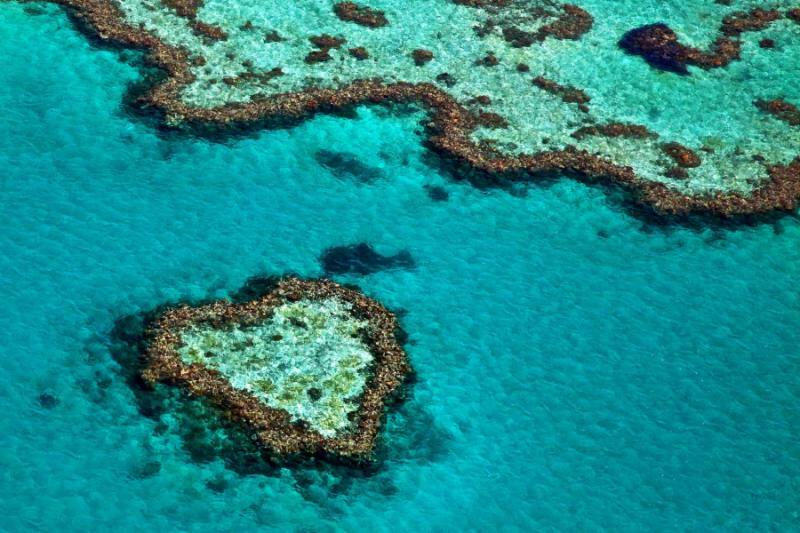 Gaze out the plane window as the scenery changes on your three-hour flight to Cairns. 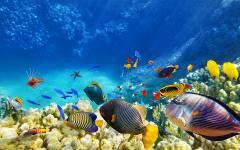 Then hop on a one-hour charter flight to the idyllic paradise of Lizard Island. 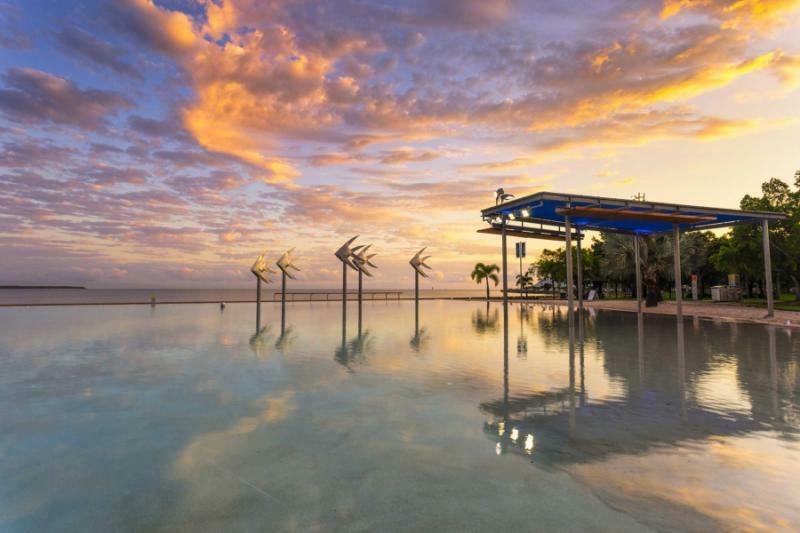 Located 240 kilometers north of Cairns, the island is blessed with vibrant reef, colorful marine life, pristine beaches and a luxury resort that has received numerous national and international awards for excellence. Settle into your Anchor Bay Room (option to upgrade to a suite) — one of only 40 villas on the island — and enjoy the stunning sea views and easy access to the beach, just in case you’re tempted to take a dip or a sunset stroll. 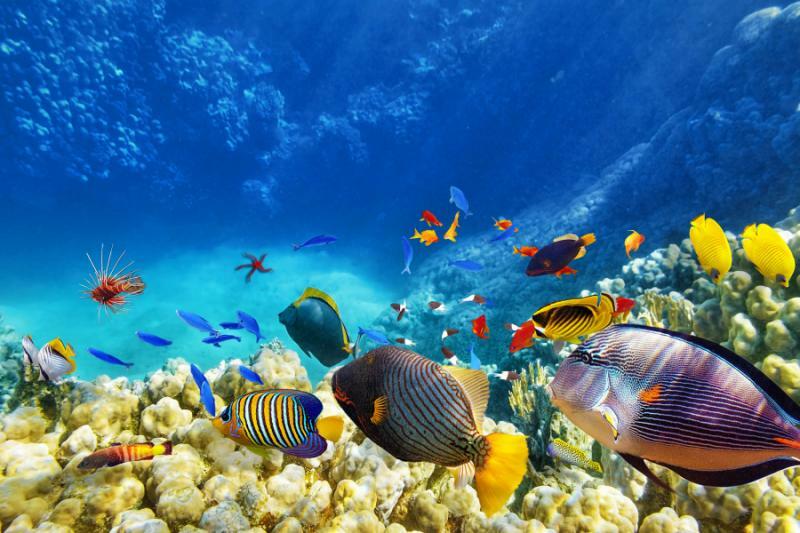 When in paradise, do as the local fish do and dive beneath the rippling waves to discover sensational underwater worlds. 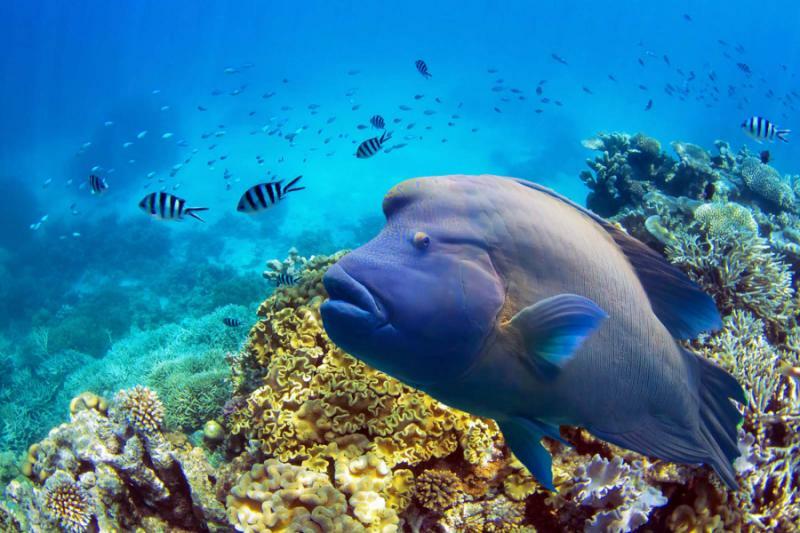 The marine park surrounding Lizard Island has been favored with a myriad of exciting diving spots, each with its own individual — and intriguing —merits. Gear up and discover the fascinating soft and hard formations that abound with tropical fish life or explore the famous Cod Hole diving spot, where huge, but gentle, potato cod swim up to investigate what you’re up to. 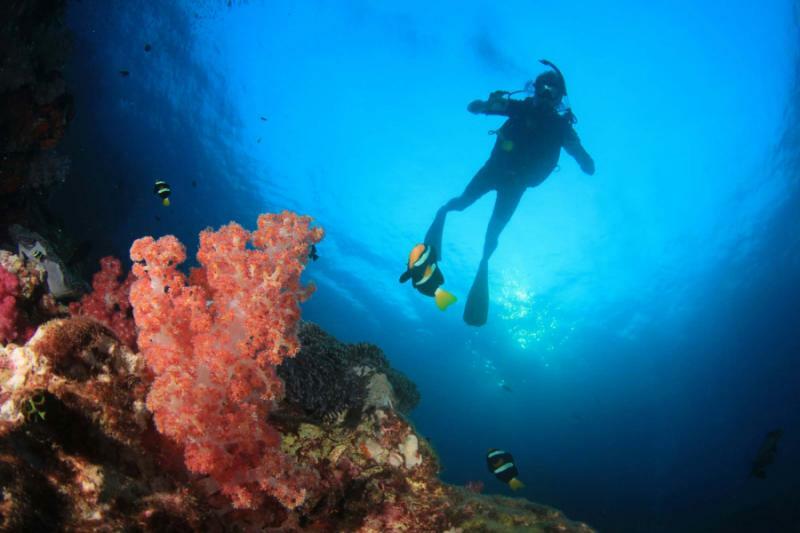 If you’d rather stay closer to the surface, there are plenty of fantastic snorkeling spots blessed with effervescent coral, flamboyant tropical fish and giant clams, for you to explore. The resort also offers glass-bottom boat trips if you’d like to stay completely dry while seeing what goes on in the clear waters below. Capture the feeling of being cast away in a world untouched by anybody else. 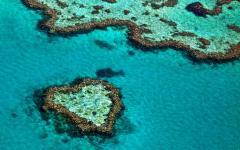 Lizard Island boasts 24 beaches, most of which are gloriously secluded. Begin your day by grabbing a gourmet picnic basket for two and setting off to explore the island on a motorized dinghy. Admire the green flora of the national park, the silvery glint of the sand along the island’s shores and the stark contrast of the turquoise water that surrounds it. Pull the dinghy onto the shores of a private beach, roll out the picnic blanket and indulge in a gourmet picnic lunch and a glass of bubbly as you toast to your heavenly isolation. If you’d rather leave the steering to somebody else, explore the area from the deck of a luxury catamaran as it sails around the island, taking in the most spectacular views and snorkeling sites. 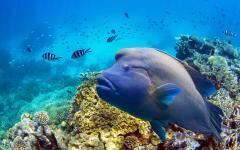 Lizard Island was created for complete and utter indulgence. Give into your instincts and pamper your senses by dedicating a day to pure, unadulterated extravagance. After a long and languid breakfast, find the perfect spot on the beach, set your towel down and relax, thinking of nothing but the gently-lapping waves. Take a break for lunch and then enjoy a tropical juice while lounging in the breezy bar area. In the afternoon, treat yourself to a pampering at the lavish Azure Spa. With a natural focus that draws from ancient Aboriginal wisdom and a healing, tranquil atmosphere, the spa will ease your mind, body and spirit through relaxing massages, signature scrubs and water therapy. As the sun dips below the horizon, combine fine dining with spectacular vistas in Lizard Island’s Sunset Degustation experience. Select one of two beaches, where you’ll be treated to a seven-course degustation menu with matching wine, in glorious, romantic seclusion. Aside from superb beaches and the Great Barrier Reef, Lizard Island also boasts more than 1,000 hectares of beautiful, wild national park. Escape under the canopies on a self-guided island walk and admire the dazzling fauna and local wildlife. 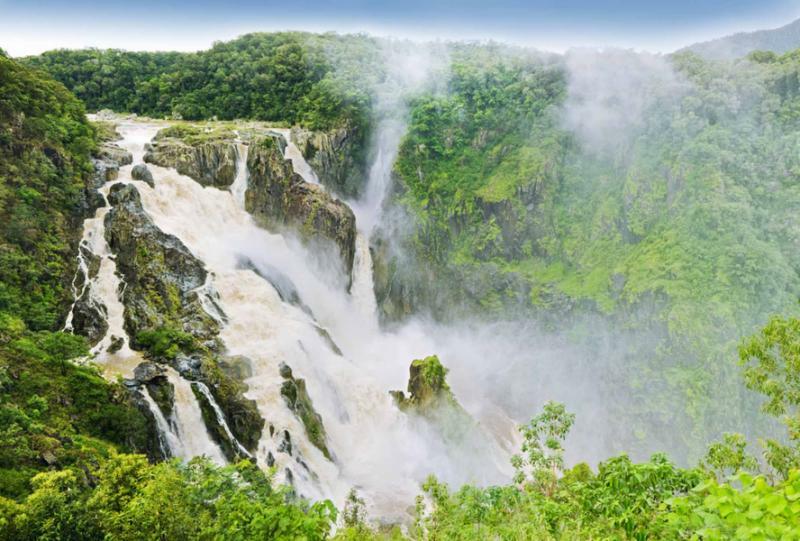 Depending on which time of year you come, you might see cute green tree frogs, flying foxes, lizards, or a wide variety of exotic bird life. If you’d rather keep your exploration to the crystal waters surrounding the island, head out on a game fishing expedition on board the “Fascination” charter or learn more about the area on a guided paddle ski tour. After a final sun-kissed breakfast, depart Lizard Island in style on an afternoon charter flight to Cairns. A private chauffer will meet you on arrival in the vibrant coastal city and take you to your harbor-view room at The Shangri-La Hotel. 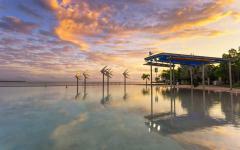 Freshen up while gazing out over the hills that surround the tropical area, before heading out to explore the Esplanade – a winding pedestrian walkway that offers prime views over the ocean as well as a swimming pool lagoon. Pop into art stores, photography galleries and souvenir shops to see if anything catches your eye, before settling at a waterfront bar or restaurant. Indulge in fresh seafood and a glass of wine, as the evening turns to night and your romantic Australian holiday nears its end. Bid adieu to the tropical shores of Cairns as a private transfer takes you to the airport and you board your return flight home, with a thousand treasured memories.